April 9, 2019. In the GISTAR study involved employees of the Institute of Clinical and Preventive Medicine of the University of Latvia (LU KPMI) and Academic Histology Laboratory (AHL) - Sergey Isaev, Inga Bogdanova, Anda Averate, Indra Klišča and Inga Locāne on April 1- 3 visited the leading pathology laboratory in Europe, the Department of Pathology of the Porto Clinical University Hospital in Porto, Portugal. The Latvian delegation was hosted by a member of the GISTAR study Data Safety and Monitoring Board (DSMB), Head of the Department of Pathology at the Clinical University of Porto, the leading expert in gastrointestinal pathology in the world, professor Fatima Carneiro. Together with prof. Karneiro was discussed the most complicated histotopatological cases of projects implemented by LU KPMI - GISTAR and SNIFFPHONE, current and future co-operation in scientific research. During the visit, the Latvian delegation become acquainted with the work of the laboratory organization and the methods used in clinical work and scientific research, including laboratory quality system and supervision, laboratory workflow, modern equipment, new molecular pathology methods, and more complex cases of clinical pathology, participated in meetings and daily work of the department. 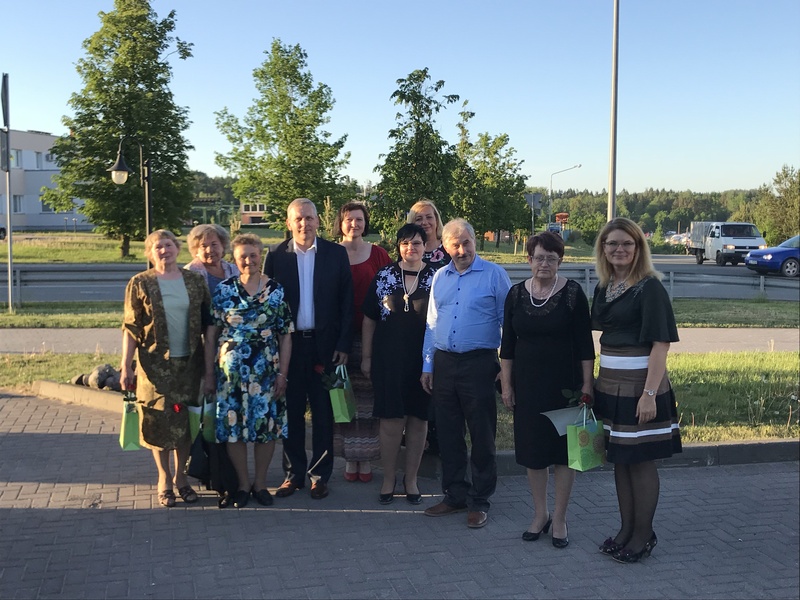 The experience gained during the visit will significantly increase the competence of Latvian pathologists and biomedical laborants in local and international projects implemented by LU KPMI in the future. March 29, 2019. Today, the regional GISTAR research center of Rezekne has completed its activities. In total, 2 409 respondents were included in this center between 3 April 2017 and 29 March 2019 (women - 1 480, men - 929, respectively). 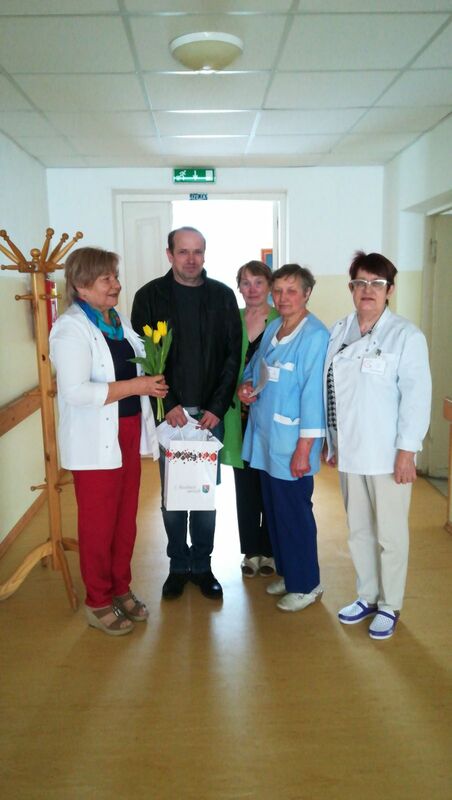 The research leader Marcis Leja thanked the employees of Rezekne Research Center for their work, as well as the chairman of Rezekne City Council Aleksandrs Bartaševičs and Gunārs Arbidāns, head of the “Social Service” of the City Council, for their support in the implementation of the research. In Latvia, the GISTAR study was launched in October 2013 in Cesis, and so far it has also taken place in Latvian cities such as Aluksne, Ludza, Saldus, Tukums, Dobele and Madona. There is a positive trend: the number of respondents in each of the next research centers is increasing. For comparison 761 respondents were included in the Cēsis Regional Center, Ludza - 1018, Saldus - 1077. We are also proud to note that since the launch of the study in 2013, by the end of March this year, all together 8 316 respondents have been included in the GISTAR study. The GISTAR team is planning to expand the research to other municipalities in Latvia and is already actively communicating with Jēkabpils local government representatives about the launch of the study this autumn. March 25, 2019. The XXXIInd International Workshop on Helicobacter and Microbiota in Inflammation and Cancer be will be held in Innsbruck, Austria on September 5 - 7, 2019. It is expected that, as every year, this year, Group of the researchers of the GISTAR study will also attend the Congress. Let us remind you that at the XXXI International EHMSG Workshop (Lithuania, 2018) Latvia was the third country with the highest number of participants. For further information on the program, registration, venue and social program - www.helicobacter.org. March 18th, 2019. For several years now, in Latvia, together with researchers from the University of Latvia Clinical and Preventive Medicine Institute and the International Agency for Research on Cancer, the GISTAR study - only such study in Europe has been conducted. The results of the study are expected by many specialists in Europe and beyond. 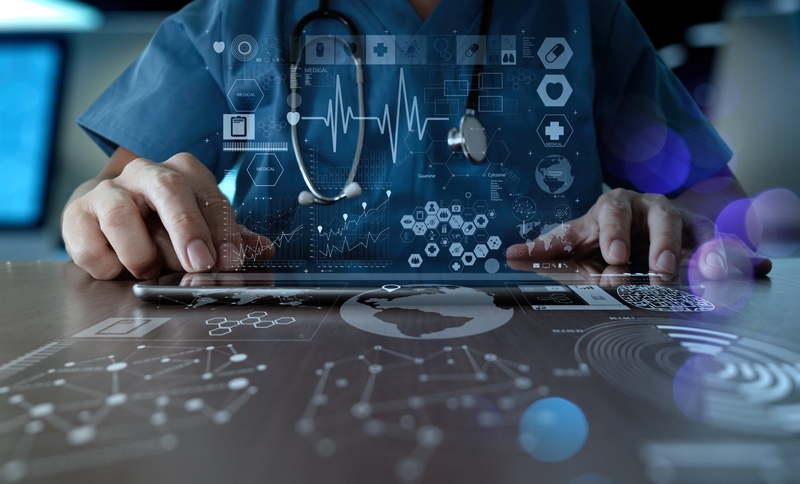 European experts (gastroenterologists, pathologists, epidemiologists, basic science representatives) who have agreed to participate in the GISTAR study Data Safety and Monitoring Board (DSMB) this year will gather in Riga for the 3rd DSMB meeting - on Thursday, 03 October 2019, with the aim to critically look at the results of the study and their compliance with the requirements of a wide range of world-class epidemiological studies. March 11th, 2019. On March 8-9, 2019 the 27th Annual Meeting of the Corean College of Helicobacter and Upper Gastrointestinal research & the 16th Japan-Korea Joint Symposium on Helicobacter Research was taking place in Busan, Korea. Altogether 380 participants from 21 countries were present, mainly from the Asian region. Leader of the GISTAr study Mārcis Leja was invited to report on the course and primary results of the GISTAR study during the International symposium “Primary prevention strategy for gastric cancer in high-risk regions” that was held during this meeting. The symposium was chaired by the other principal investigator of GISTAR Rolando Herrero (IARC). February 28th, 2019. In Moscow at the European Association for Gastroenterology, Endoscopy and Nutrition (EAGEN) postgraduate training course "Clinical decisions in gastroenterology - tailored from guidelines to the individual need" takes place. At the course the patient's experience of treatment at the Oncology Centre of Latvia of Riga East University Hospital is demonstrated, where the patient's life has been significantly prolonged as a result of successful treatment by the team (the patient continues to receive treatment now). 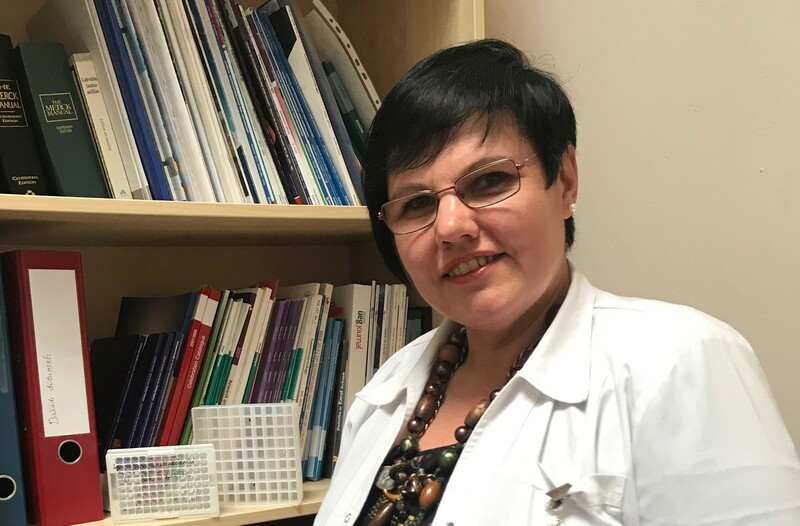 The case study for presentation in the course has been prepared by a hospital chemotherapist and PhD student of the University of Latvia involoved in GISTAR study - Dr.Evita Gashenko. The scientific director of the GISTAR study Marcis Leja takes part at the course. February 24th, 2019. In the frame of 77th International Scientific Conference of the University of Latvia on February 22nd was held International Scientific Medical Conference. We are proud to announce that GISTAR Kazakhstan pilot study data were also presented at the conference. 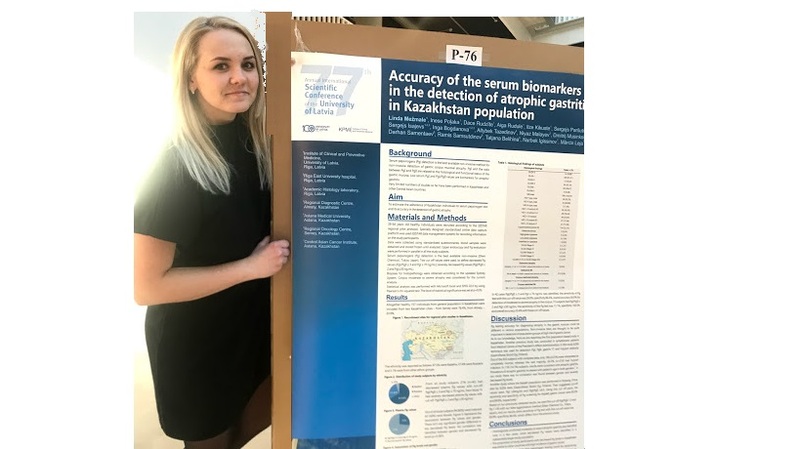 Study data in the form of stand report "Accuracy of the serum biomarkers in the detection of atrophic gastritis in Kazakhstan population" were presented by Linda Mezmale, a student of the Faculty of Medicine of the University of Latvia involved in the GISTAR study. January 20th, 2019. 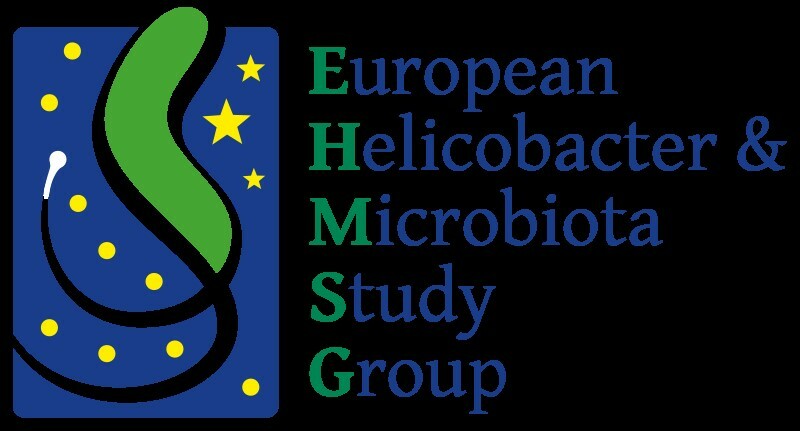 The Board meeting of European Helicobacter and Microbiota Study Group (EHMSG) was taking place in France. 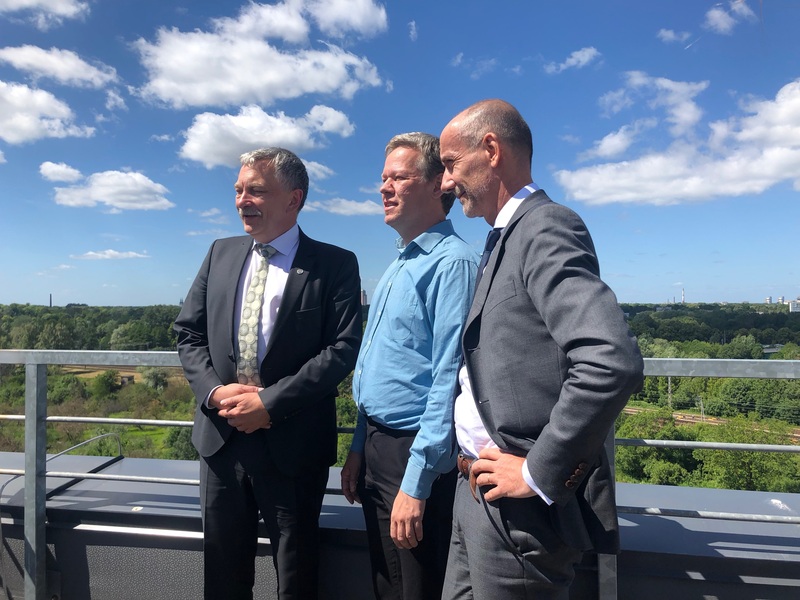 The Board members were updated on the progress of the GISTAR study as well as microbiome studies conducted by the Institute of Clinical and Preventive Medicine, University of Latvia. The Board members decided to launch a new international research journal “Microbiome in Health and Disease” and supported the candidates proposed for participation in the course supported by BIOCODEX on research paper manuscript preparation - in GISTAR study involved young researchers - Olga Sjomina, Zane Dzērve and Anna Krīgere. January 19th, 2019. 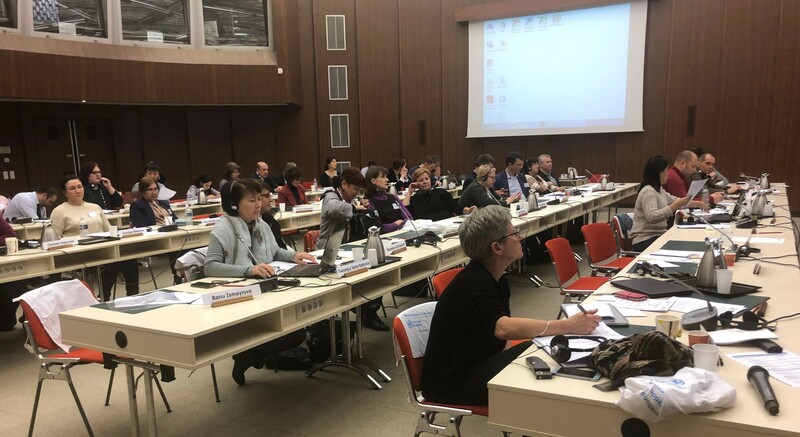 From 16 till 18 of January Workshop on Implementation of Cancer Screening Programmes organized by The International Agency for Research on Cancer (IARC) / The World Health Organization (WHO)- EURO took place in Lyon (France). At the Workshop a lecture on a GISTAR study going on in Latvia as well as on the possibilities of stomach cancer prevention was delivered by the GISTAR study leader M.Leja. 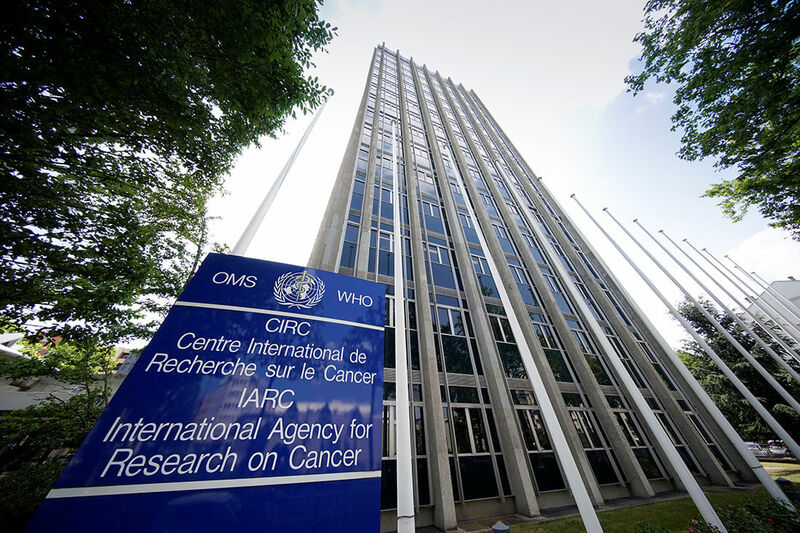 On January 18th the progress and results of the GISTAR study was discussed at The International Agency for Research on Cancer (IARC) in Lyon (France), as well as planned out analysis and publication of the obtained data, the Data Safety and Monitoring Board(DSMB) meeting in 2019, and further study progress. January 2nd, 2019. We are proud to announce that by the end of 2018, 8 150 respondents have already been included in the GISTAR study. 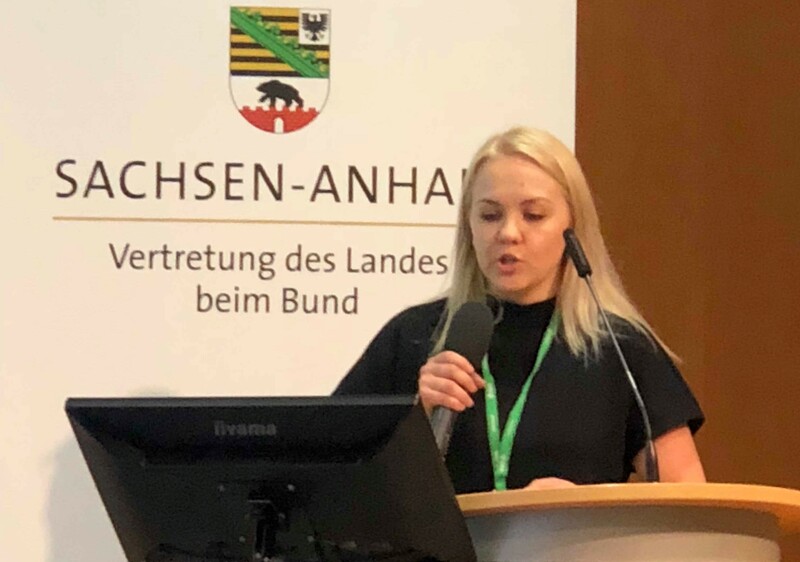 The study was launched in October 2013 in Cesis, and so far it has taken place in such cities of Latvia as Aluksne, Ludza, Saldus, Tukums, Dobele and Madona. Currently the research center in Rezekne continues its activity. There is a positive trend: the number of respondents in each of the next research centers is increasing. For comparison, 761 respondents were included in the Cēsis Regional Center, Ludzas - 1018, and 1077 in Saldus. There are already 2200 respondents included in the research center of Rezekne. December 3rd, 2018. At the traditional European bridging meeting in gastroenterology, which was takeing place in Berlin, Germany from November 30 to December 1, the results of the GISTAR pilot study in Kazakhstan were presented. 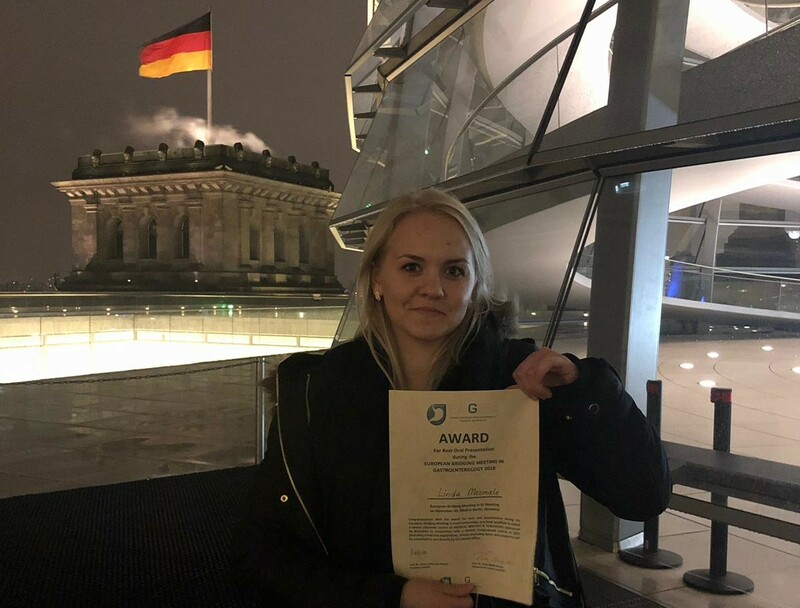 At the meeting a student of the Faculty of Medicine of the University of Latvia Linda Mežmale received Award for the best presentation - "Significance of serum pepsiniogens as a biomarker for atrophic gastritis screening in the Kazakhstan population". Scientific leader of the GISTAR study, professor Mārcis Leja was also takeing part in the meeting. This year's meeting returned to the original classic model of the established Bridging meeting, where fellows and their mentors present, discuss and engage within this European network in Gastroenterology. October 27th, 2018. We are proud to announce that the total number of respondents included in the GISTAR study has reached 8,000 today! The GISTAR study in Latvia has been taking place for five years now. At present, the research center in Rezekne (since April 2017) has been active, which already includes 2,096 respondents. 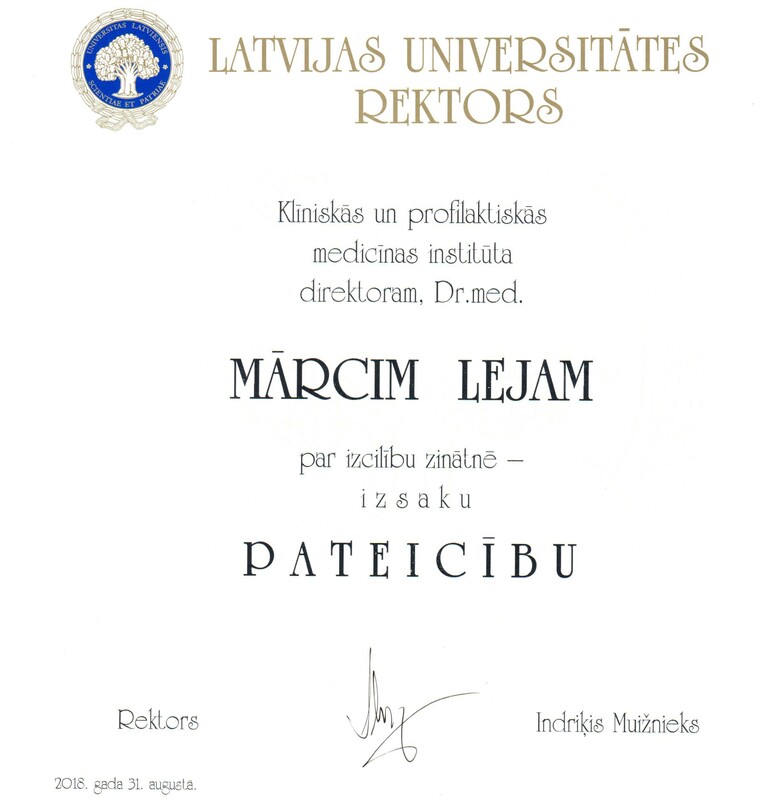 The research has so far been carried out in such cities of Latvia as Cesis, Aluksne, Ludza, Saldus, Tukums, Dobele and Madona. The inclusion of respondents in the study continues. In parallel, research opportunities are being discussed in other cities of Latvia. September 27th, 2018. GISTAR Research Center in Rezekne is continuing its activities and we are pleased to announce that 2,000nd respondent was included today in Rezekne Research Center. The total number of respondents included in the study has already reached 7900! The realization of the GISTAR study in Rezekne will continue until the end of this year. September 17th, 2018. 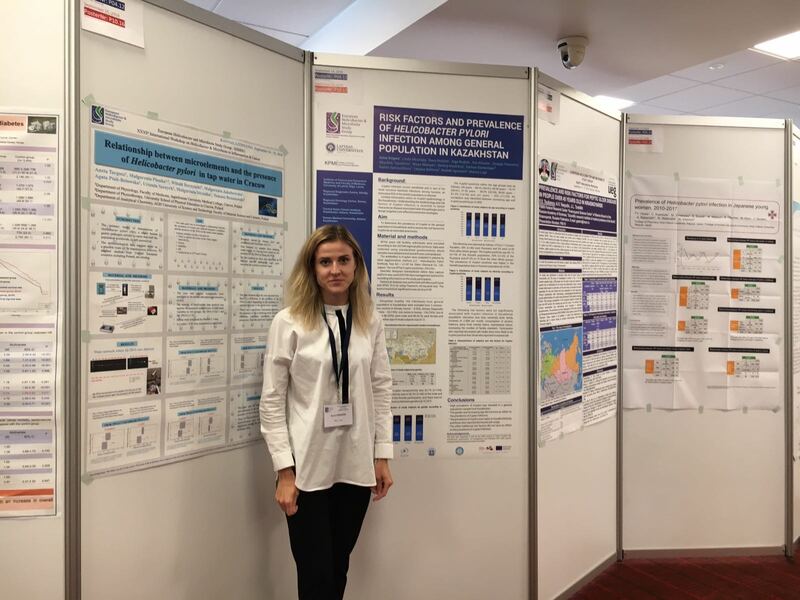 The results of the GISTAR pilot study in Kazakhstan in the form of stand reports were presented at the European Helicobacter and Microbiota Study Group XXXIst International Workshop, which took place in Kaunas, Lithuania from 13 to 15 of September. Scientific leader of the GISTAR study, professor Mārcis Leja, performed with an oral report. In turn, residents and graduates of the University of Latvia involved in the GISTAR study (Zane Dzērve, Linda Mežmale, Anna Krīgere, Danute Ražuka-Ebela, Ieva Lašina, Petra Kriķe, Edgars Vasiļjevs) participated with the stand's reports. 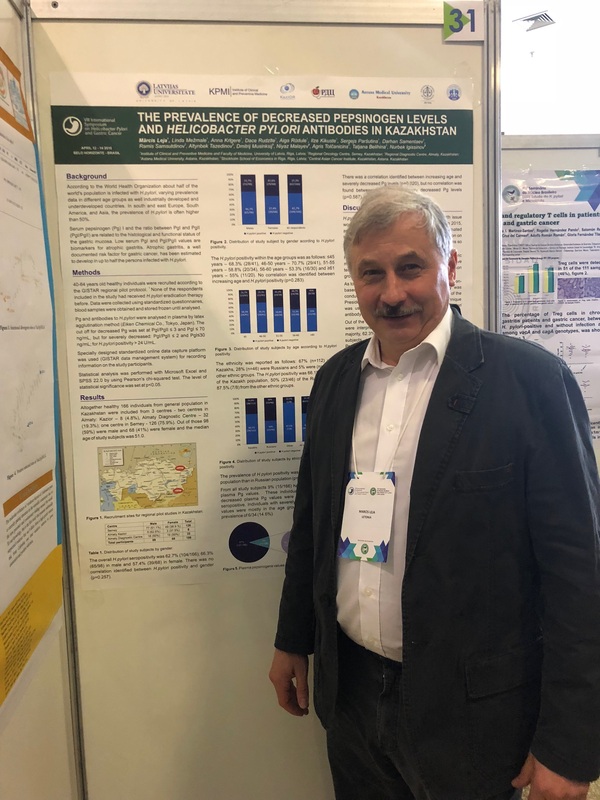 We are proud to mention that the physician - pathologist, professor Sergejs Isajevs, who is involved in the GISTAR study, received the award for the best stand report. Latvia was the third of the countries with the largest number of participants. September 10th, 2018. 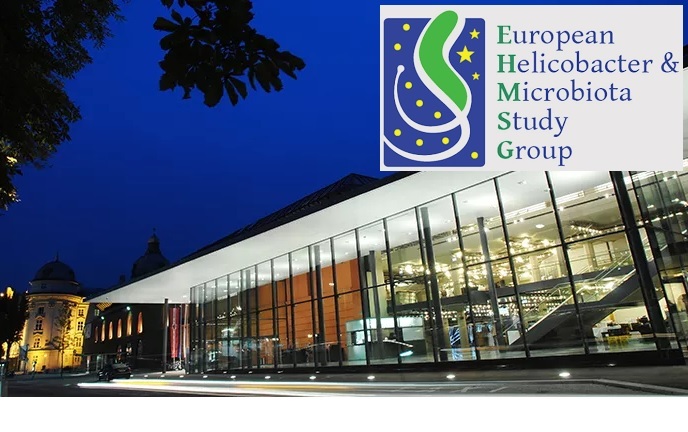 Group of the researchers of the GISTAR study will go to European Helicobacter and Microbiota Study Group - EHMSG XXXIst International Workshop on Helicobacter & Microbiota in Inflammation & Cancer, which will take place in Lithuania, Kaunas, September 13 - 15. GISTAR researchers Group will take part in the congress with reports and posters. In September last year Marcis Leja was elected as a president of the EHMSG organization. September 3rd, 2018. The scientific leader of GISTAR study, professor Marcis Leja at the general meeting of employees of the University of Latvia received a Gratitude on excellence in science from the Rector of the University of Latvia professor Indriķis Muižnieks. GISTAR is a unique population-based study in Europe for the prevention of gastrointestinal cancer, with the primary goal of finding solutions to reduce mortality from stomach cancer. June 21th, 2018. A collaborative project for piloting GISTAR in Ukraine submitted for the UK GLOBAL HEALTH Initiative funding. Under the coordination of Dr. Mangesh Thorat (Centre for Cancer Prevention, Wolfson Institute of Preventive Medicine, Barts & The London School of Medicine and Dentistry Queen Mary University of London) a project application “Ukraine pilot of GISTAR trial- H. pylori eradication, pepsinogen testing and FIT for prevention of gastric and colorectal cancer mortality (GISTAR-U)” was submitted. The Ukrainian partners include Vinnytsia National Pirogov Memorial University (PI: Prof. Vyacheslav Chernobrovyj), Dnepropetrovsk National University (PI: Prof. Maryna Shcherbynina) and National Cancer Centre, Ukraine (PI: Prof. Andrii Lukashenko). June 20th, 2018. European Commission’s director-general for research and innovation Jean-Eric Paquet was visiting Latvia. 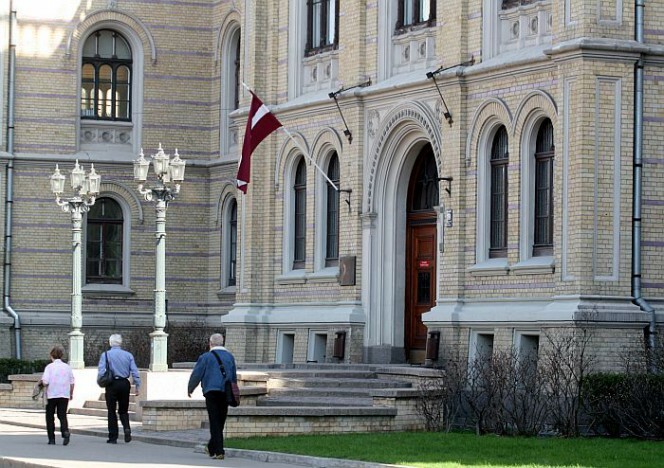 On June 20th, a meeting was held at the University of Latvia, in which University of Latvia leading research groups demonstrated their work and achievements in field of research. During the meeting, GISTAR research leader M. Leja informed about the progress of the GISTAR study, as well as on main sudies in oncology. June 12th, 2018. On June 11th publishing house Taylor & Francis at Scandinavian Journal of Gastroenterology published an article made by the Research group of GISTAR about comparison of various tests for the detection of helicobacteria of stomach. The first author of the article is Sabine Skrebinska, a physician-resident. Voluminous work materials has been summarized, in which endoscopic stomach examinations were performed at the Digestive Diseases Centre GASTRO, but morphological investigations - in the Academic Histology Laboratory. Research data suggest that it is inadequate to use serological examinations (blood tests) as the only test for helicobacteria testing in daily practice. A summary of the article can be found HERE. June 7th, 2018. 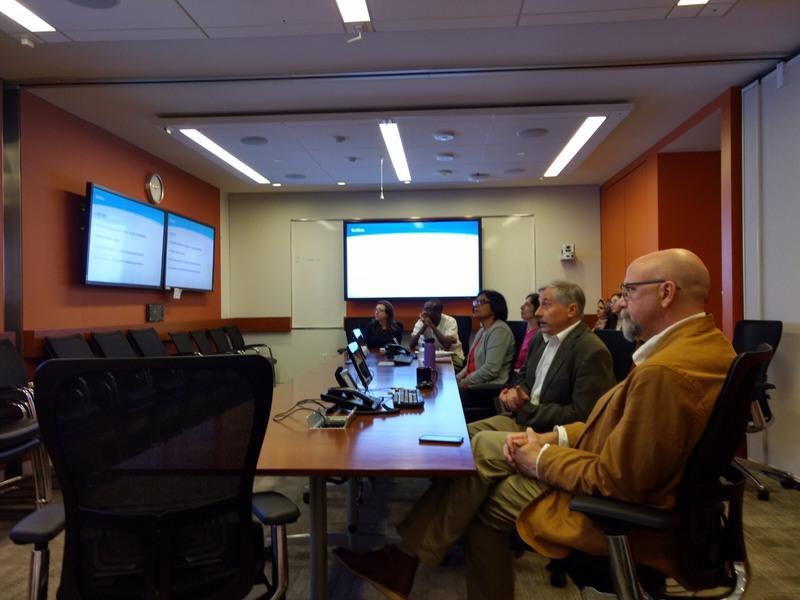 At the USA National Cancer Institute GISTAR research leader M. Leja gave an hour-long report about the ongoing researches on gastric cancer in Latvia, including information on the progress of the GISTAR study. After the meeting, several gatherings were held, including with the Co-ordinating Specialists on Global Activities for possible further expansion of cooperation. May 31th, 2018. Today, the regional research center of Madona has concluded its work. During the period from August 1st 2017 till May 31th 2018, 1276 respondents have been included in the GISTAR study in Madona. 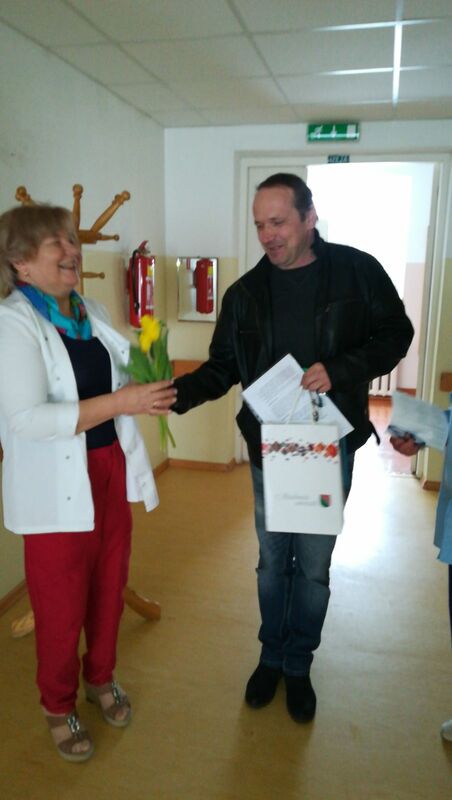 The research leader Marcis Leja thanked the workers of the Madona Research Center and the chairman of the board of Madona Hospital Artis Stuburs, for their work and support. In parallel, the GISTAR team is planning to expand research activities into other municipalities of Latvia, and already communication with local government representatives on the possibilities of research realization in other cities of Latvia is taking place. May 24th, 2018. 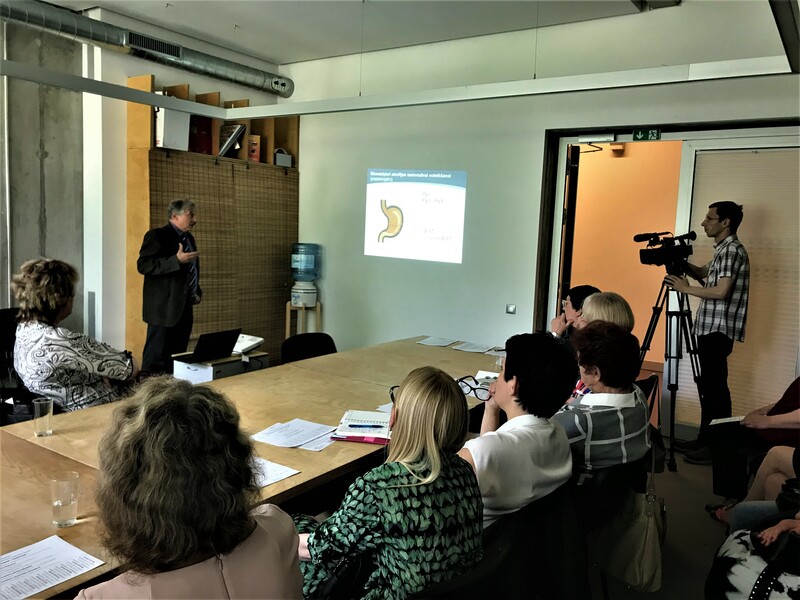 A seminar for family physicians is taking place in Rezekne, at "Zeimuļs" - Center for the Development of Eastern Latvia, during which GISTAR project manager professor Mārcis Leja gives a lecture "Ability to reduce stomach cancer mortality. International guidelines". M. Leja also introduces the participants of the seminar with the progress of the GISTAR study. During the seminar there are also discussions, during which family doctors have the opportunity to ask prof. M. Leja and research staff questions of interest. May 16th, 2018. 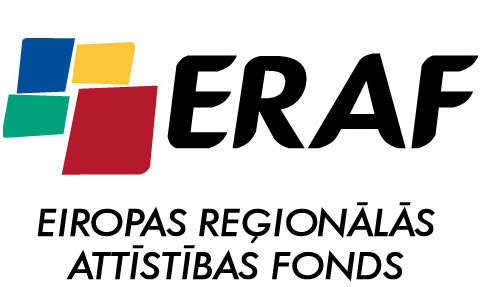 In order to acquaint representatives of local municipalities with the GISTAR study and discuss the possibilities of realization of the research in the municipalities of Latvia, the research leader Mārcis Leja and coordinator Aiga Rūdule participated in the annual general meeting of the Association of Regional Development Centers (RACA), which took place on May 15. May 9th, 2018. Since October 2013, when the GISTAR study was launched in Cesis, to this moment, more than 7,400 respondents have been included in the project. 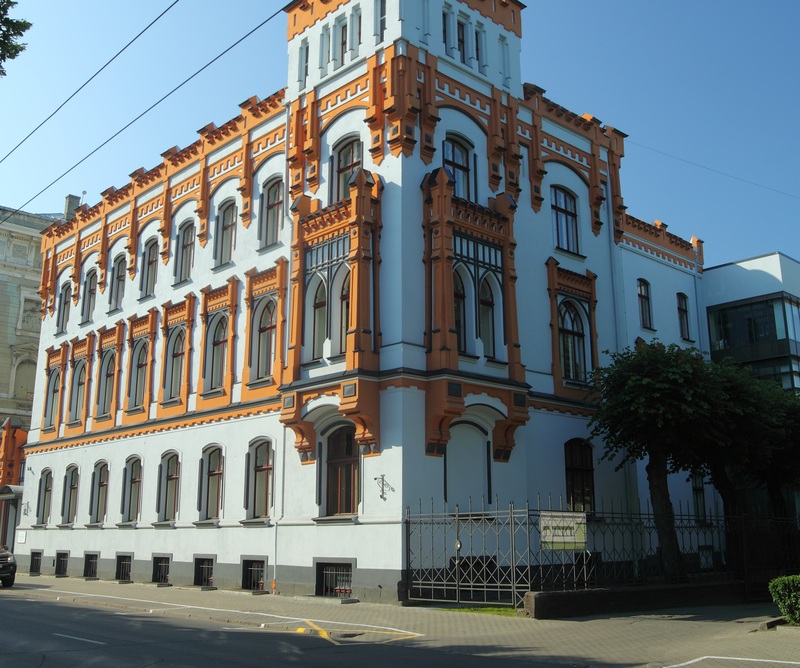 The research has also been conducted in such cities of Latvia as Aluksne, Ludza, Saldus, Tukums and Dobele. There are currently two research centers active in Rezekne and Madona. There is a positive trend - the number of respondents included in each subsequent research center is increasing. For comparison, 761 respondents were included in the regional center of Cesis, in Ludza center - 1018, Saldus - 1077. In Rezekne cneter 1593 respondents are currently included, while in Madona - 1197. April 13th, 2018. 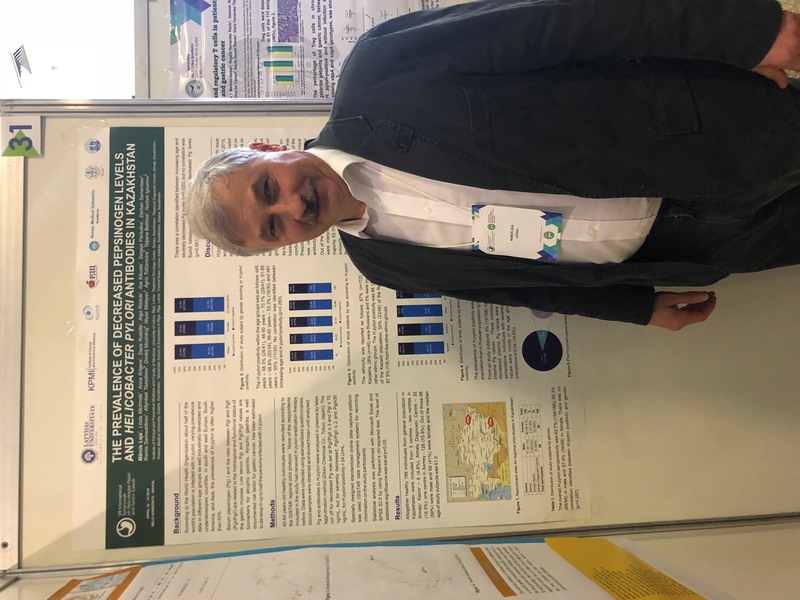 The initial results on the GISTAR pilot study results in Kazakhstan have been reported during the VIII International symposium on Helicobacter pylori and gastric cancer in Belo Horizonte, Brazil. April 4th, 2018. Visit to the GISTAR Rezekne Regional Research Center. The research coordinator Aiga Rūdule went to Rezekne together with colleague Eva Martinson to train staff of the Research Center on how to give eradication therapy to patients. For today all together 7,168 respondents are included in the GISTAR study. March 12th, 2018. For more than four years now, the GISTAR study has been conducted in Latvia. We are proud to announce that on this week the number of respondents included in the study have reached 7,000! There are currently two research centers active in Rezekne (since April 2017) and Madona (since August 2017). We are truly glad to announce that 1,000nd respondent was included today in the Madona Research Center. It was Madona resident Zintis Asmus. In Rezekne Regional Research Center already have included more than 1000 respondents. February 23rd, 2018. 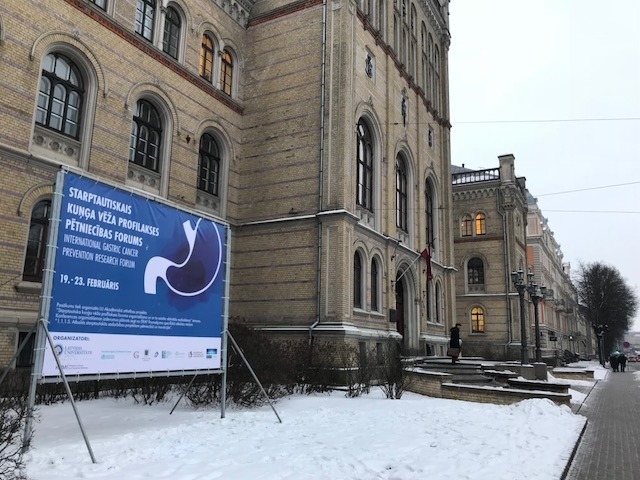 Today the International Gastric Cancer Prevention Research Forum has successfully concluded with the International Scientific Conference on Medicine at the University of Latvia. 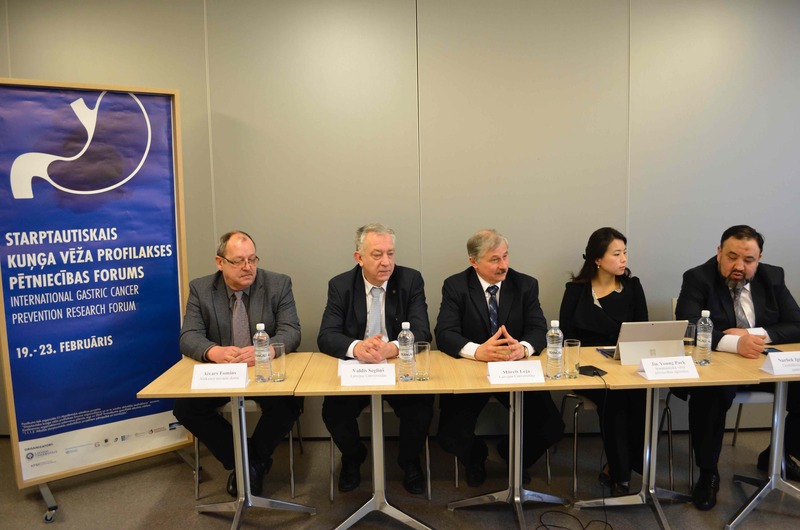 Yesterday, on February 22nd, one of the most important events in the forum took place - European experts (gastroenterologists, pathologists, epidemiologists, basic science representatives) who agreed to participate in the GISTAR Study Data Safety and Monitoring Board (DSMB) gathered in Riga to critically look at the results of the study, their compliance with the requirements of a wide range of world-class epidemiological studies. Yesterday morning, the leading researcher at the Institute of Clinical and Preventive Medicine, physician-gastroenterologist Ilze Kikuste, visited "Morning Panorama", to tell how important the issue of gastric cancer is in Latvia, what is the contribution of domestic researchers in identifying the possibilities for preventing this disease. An interview can be viewed here. The forum was organized by the Institute of Clinical and Preventive Medicine, and it was held all this week. At the forum met both leading European experts and representatives from countries with high incidence of stomach cancer - Kazakhstan, Kyrgyzstan, Yakutia, Ukraine, Russia and Belarus, as well as representatives of international professional and patient organizations. Over the course of the week, various topical issues related to research on gastric cancer prevention were discussed, projects implemented in Latvia were presented, and opportunities for future cooperation with foreign partners were discussed. February 21th, 2018. For the third day active work and meetings is continuing in the framework of the International Gastric Cancer Prevention Research Forum. On Wednesday, forum participants had an excellent opportunity to visit the GISTAR Madona regional research center to get acquainted with its work on the spot and ask questions to the Research Center staff. The event was also attended by the chairman of the Madona City Council Agris Lungevičs, chairman of the board of Madona Hospital Artis Stuburs, members of the board Andis Audze and Atis Svilāne, as well as representatives of local media. 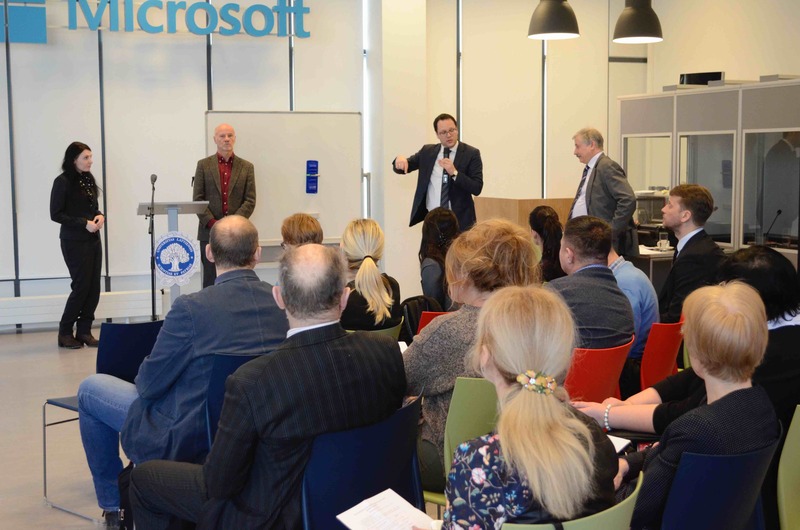 During the second part of the day, a meeting was held at the premises of the University of Latvia's Microsoft Innovation Center. The topic of seminar was the unexplored opportunities and new technologies for reducing stomach cancer mortality. It was devoted to the presentation of survey data for specialists and risk populations, as well as the necessary improvements in gastric cancer prevention. The latest advances in technology, including advanced breath examinations for early detection of cancer, were also presented. 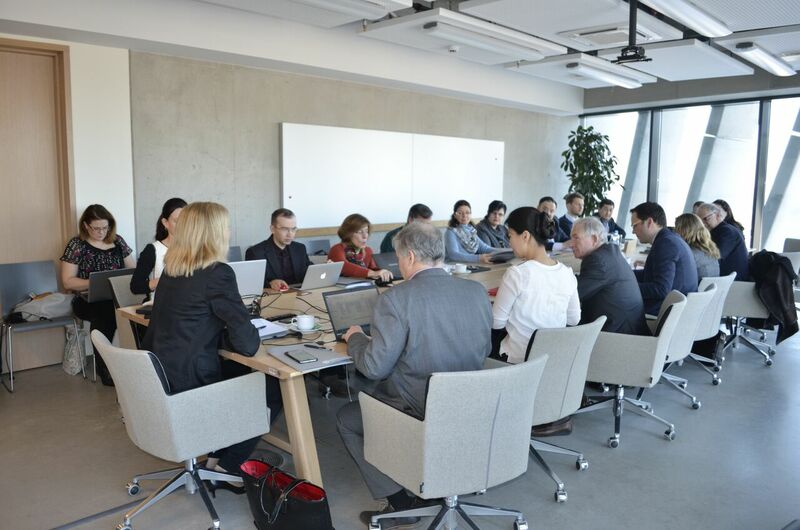 The International Cooperation Partners of the University of Latvia of the consortium of the European project SNIFFPHONE ('smartphone for illness') and the representative of the European Patient Organization Europa Colon had also arrived to Riga to attend the meetings. February 20th, 2018. 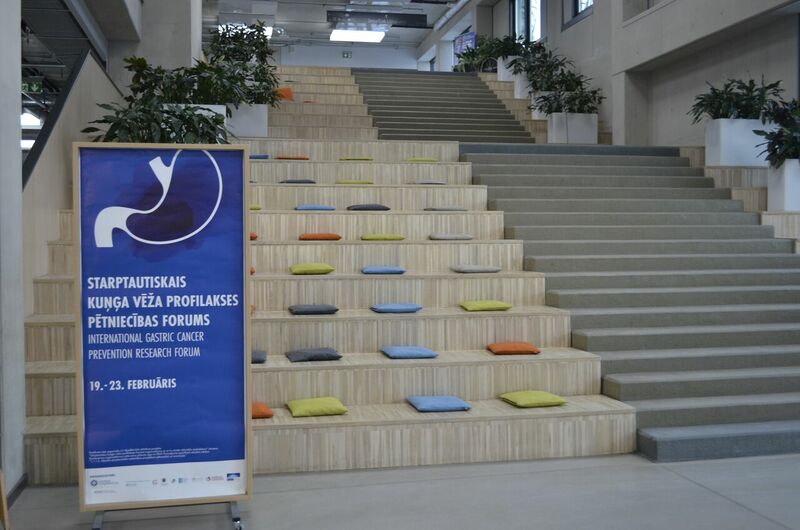 Today a meeting on the possibilities of expanding the GISTAR study is taking place at the Small Hall of the University of Latvia, which is being organized within the framework of the International Gastric cancer prevention research forum. Indriķis Muiznieks, Rector of the University of Latvia, opened the meeting and gave an introductory speech. The lectures were also given by Professor of the University of Latvia, head of the GISTAR study, Mārcis Leja, representative of the European Cancer Prevention Organization (ECP) Jaak Janssen, Sergey Pimanov, representative of the Vitebsk State Medical University (Belarus) and others. On the second day of the forum, experts from countries with high morbidity - Belarus, Ukraine, Russia, Kazakhstan, Kyrgyzstan - are introduced with the principles of the GISTAR study and the experience of Latvia. The purpose of the discussion - to explore the possibility of expanding research activities in these countries as well. February 19th, 2018. Today, the International Gastric cancer prevention research forum has been successfully launched. It started with a press conference. The vice-rector of the University of Latvia Valdis Seglins spoke highly of the work done by researchers at the University of Latvia, the international cooperation that has been implemented so far, and emphasized the importance of the research on gastric cancer. Prof. Marcis Leja addressed both- the program of the ongoing forum and the GISTAR study conducted by the University of Latvia. The spokeswoman for the International Cancer Research Agency Jin Young Park briefly presented the agency's operating principles, the problem of gastric cancer in the world, and the role of the GISTAR project. In turn, Nurbek Igissinov, Director of the Central Asian Cancer Institute and Aivars Fomins, Deputy Chairman of Aluksne County Council, presented a positive experience in the implementation of the GISTAR project. The next part of the day was dedicated to discussing manuscripts related to gastrointestinal cancer research. A video of the press conference can be found here. 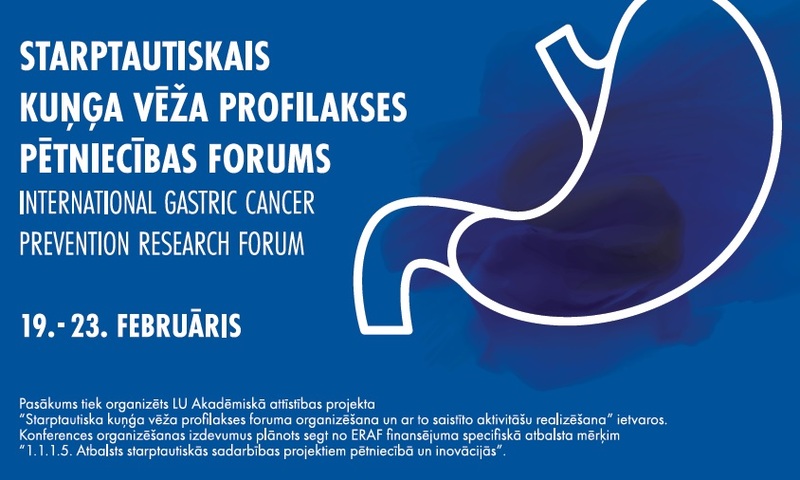 The International GISTAR Study Extension and Gastric Cancer Prevention Research Forum, organized by the Institute of Clinical and Preventive Medicine of the University of Latvia, will take place on February 19-23. It will bring together leading European experts and representatives from countries with high levels of gastric cancer, as well as representatives from international professional and patient organizations. During the week, various topical issues related to research on gastric cancer prevention will be discussed, the projects implemented in Latvia will be presented and opportunities for future cooperation with foreign partners will be discussed. 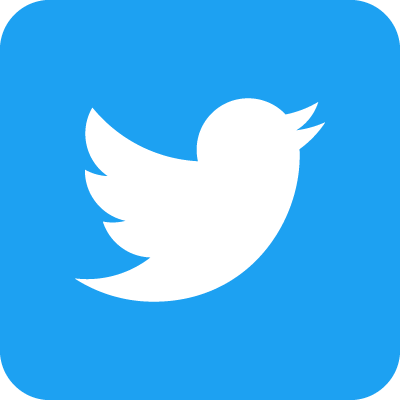 More information about the Forum is available here. January 30th, 2018. The GISTAR Regional center in Madona is actively continuing its work, and there are 800 respondents included in the study. It is planned to extend the implementation of the study in Madona until May 31st, that is why documents further coordination with the representatives of Madona City Council and Madona Hospital do take place. Still ongoing active recruitment in the GISTAR Regional center in Rezekne. January 15th, 2018. Active discussions are continuing with representatives of Preiļi City Council and the Hospital about realization of the GISTAR study in Preiļi. It is planned that the study in Preiļi will begin on the 1st of June, 2018.